Lawmakers the MCC say the "Mankading" dismissal of Jos Buttler in the IPL went against the spirit of cricket. Non-striking batsmen backing up can be run-out without warning by bowlers - as Buttler was by spinner Ravichandran Ashwin in Jaipur on Monday. The MCC said on Tuesday that the law was "essential" and added "without it, non-strikers could back up at liberty". But manager of the Laws Fraser Stewart clarified on Wednesday: "We don't think it was in the spirit of the game." Replays showed Buttler, who was ousted in similar fashion by Sri Lanka's Sachithra Senanayake in an England one-day international in 2014, was in his ground when Ashwin's foot landed at the crease but then left it before the Kings XI Punjab bowler removed the bails. 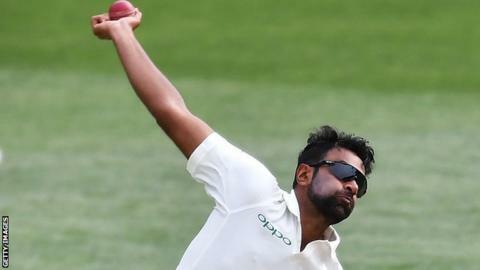 Stewart commented: "Having extensively reviewed the incident again and after further reflection, we believe the pause was too long between the time Ashwin reached the crease and the moment it was reasonable to expect the ball would be delivered. "It is also unfair, and against the Spirit of Cricket, for non-strikers to leave their ground too early. All these debates wouldn't be necessary if non-strikers remained in their ground until the ball is on its way down the pitch."